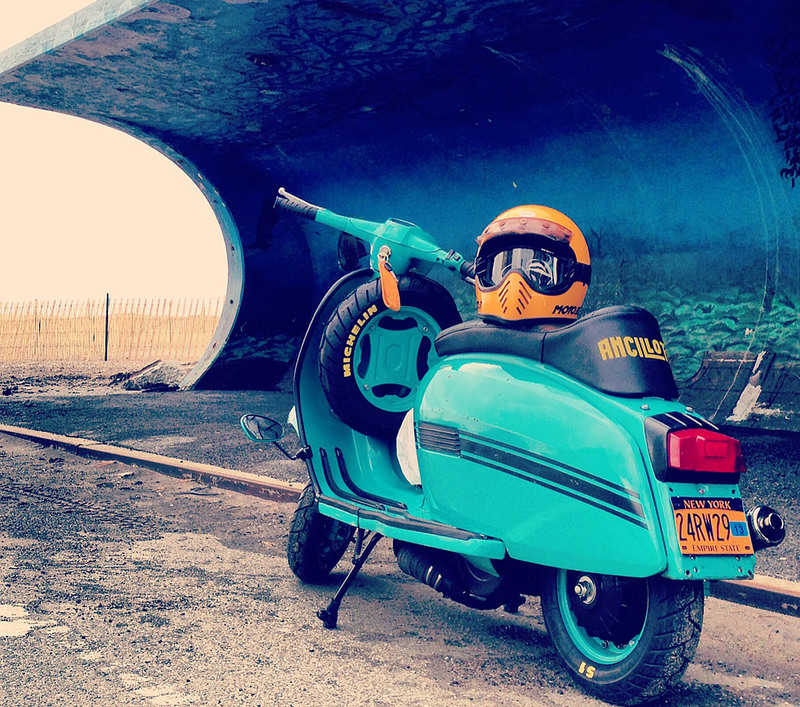 So… the second New York post of the week… This one is a blog about the purchase and restoration of a Lambretta DL in “Mexican Ashtray Blue” in New York CIty. An image heavy blog, said images being really evocative of NYC… often shot with a twist of wry humour… it’s a great read, with great imagery. Check it out here, and added it to my growing Links page. This entry was posted in Lambretta Imagery, Lambretta Life, Scooters and tagged DL, DL125, GP, GP 125, Lambretta, New York, New York CIty, NYC, United States by crocodilejock. Bookmark the permalink.